Question 1: The ________ (Kungliga Tekniska Högskolan, or KTH) was founded in 1827 and is currently Scandinavia's largest higher education institute of technology with 13,000 students. Question 2: In the 2008 World Knowledge Competitiveness Index, published by the Centre for International Competitiveness, Stockholm was ranked as the sixth most ________ region in the world and the most competitive region outside the United States. Hazeliusporten, Djurgu00E5rden in Stockholm, Sweden. What time offset in UTC is Stockholm in during daylight savings? 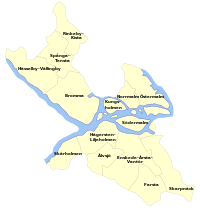 Which of the following subdivisions is Stockholm in? Question 7: In the 2006 European Regional Growth Index (E-REGI), published by ________, Stockholm was ranked fifth on the list of European cities with the strongest GDP growth forecast. What is the area code of Stockholm? What is the total population of Stockholm? Question 10: The most popular spectator sports are football and ________.